Motors are one of the primary mechanisms by which robots move. Some motors can be attached to wheels that drive a robot around. Other motors might cause joints in a robot limb to move. Yet others might move the control surfaces of a robotic airplane or submarine. A robot might have many different kinds of effectors to perform specific tasks, but many of these effectors are being moved around by motors. What motors do is convert the electrical energy that powers the robot into mechanical energy that allows the robot to do work. There are two measurements of a motor that are important for understanding how much work it can do. Speed is what the maximum speed of the motor is. This is usually measured in revolutions per minute, or RPM. 1 RPM means that the axle of the motor will turn completely around a circle once in a minute, which is very slow. 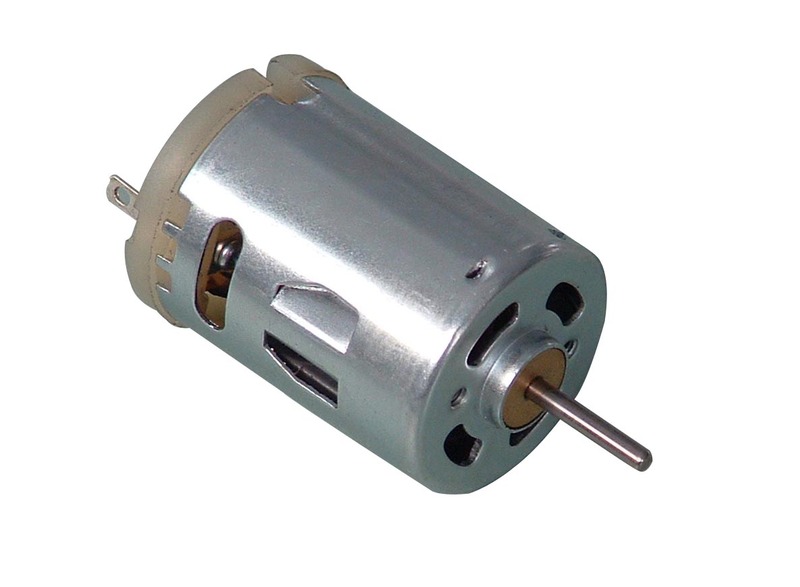 Even a very cheap DC motor will have a speed rating of at least 1000 RPM. Torque is the measure of how much strength the motor outputs. A simple way to think about it is that if you attached an arm with a weight on it to the axis of the motor, what is the maximum amount of weight that the motor could lift. Typically (though not always), the higher the speed a motor has, the lower its torque and vice versa. Part of the trick in designing and building a robot is to find motors with the right balance of torque and speed. Gears can be used to convert speed to torque or to torque to speed, just like in a car. In a car, first gear is a high-torque gear because the engine needs a lot of strength to start moving the car forward. Once you are cruising on the highway, though, the momentum of the car will do much of that work, so you need to high speed gear to keep the car cruising at high speed. This is what the high gear of the car does. The intermediate gears reduce torque and increase speed as they get higher. DC motors are so called because they are powered by a current placed across the electrodes of the motor. The speed rating of a DC motor is the top speed it can run at. The actual speed the motor runs at is a function of how strong the current is that is applied to the motor. DC motors can be run both forwards and backwards depending on the direction of the applied current. Special circuits called "H-bridges" allow the use of switches and transistors to change the direction a motor moves without having to change any of the wires. For the most part, DC motors come with very high speed ratings, and thus very low torque. Gears and transmissions allow us to convert the speed of a DC motor into torque that can be used for other tasks, such as moving heavy robots or lifting objects. Servo motors are special motors that operate in response to dedicated servo signals, instead of to variations in current. A servo always has the same current applied across it in the same direction. It also has a separate input for signal pulses. Each pulse tells the motor to move a certain pre-defined distance around. The size of the pulse determines which direction the motor turns in (typically large pulses mean forwards and small pulses mean backwards). The number of pulses will determine how far the motor moves in total. 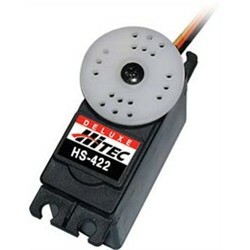 Very good servos will make movements of small fractions of a degree. Even cheap servos will typically move only a degree or two per pulse.